Coming of Age is a series focusing on the up and coming youth of today, the adolescents that spend all of their spare time riding pushbikes. It’s no secret that the youth of today are often leap-years ahead of older riders in terms of their skill on a bike—it can be a little upsetting too. 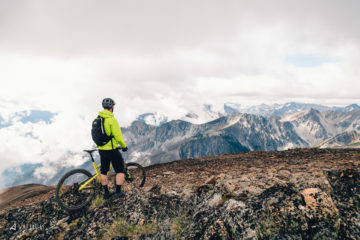 Parents that are open to putting kids in ride programs like Whistler Blackcomb’s DFX program, rather than soccer or baseball camp, and the added accessibility of quality bikes designed with the smaller bodied riders in mind are large contributors to this. Even so, there are certain areas that become hotbeds for these little grommets and the Sea to Sky, the region from Vancouver to Whistler Pemberton, is a rather large one. 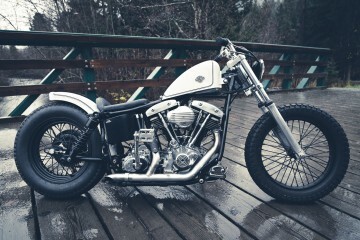 Jessie Mcauley is one such rider. At 16 years young, Jessie has been riding for 6 years but has the skill set, race head, and confidence on the bike that many with years more worth of experience can only wish for. Before moving to Squamish Jessie spent his earlier years in McBride, B.C, a small mountain community located in the Rocky Mountain Trench, where he spent his time skiing, hiking, camping and climbing. 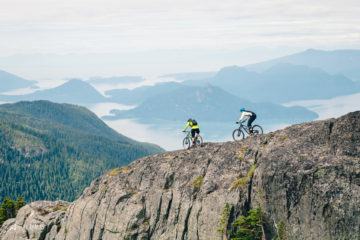 It wasn’t until the family moved to Squamish that riding became an interest. 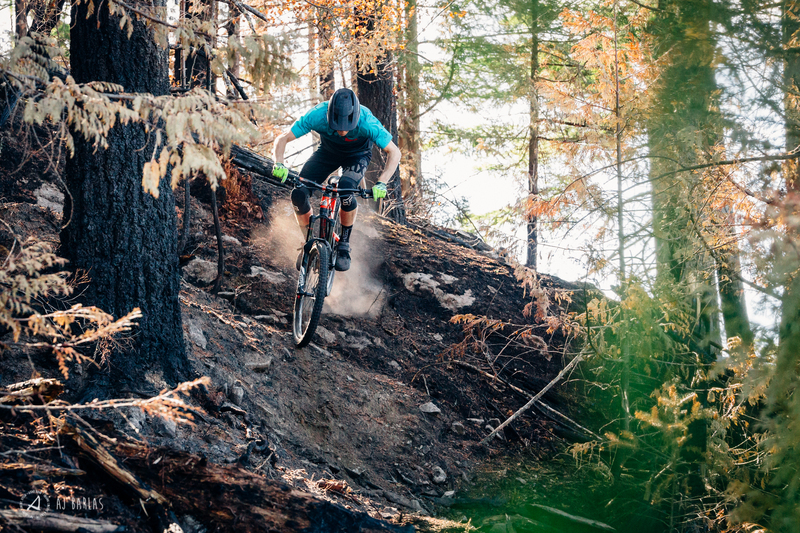 Initially Jessie tried his hand at BMX racing—spending a couple of years with it—but soon moved to riding and racing DH and trail bikes with a good mix of dirt jumping in there too. It was around this time that Jessie came across a New World Disorder movie and only moments after watching the movie, Jessie was found hucking his Kona Stinky off a 3ft drop into the ditch, a process that lasted about two hours. It was after watching this (about 50 times) that he knew he wanted to ride downhill. What’s interesting is that before watching the NWD movie, Jessie was focused on riding slopestyle, riding jumps with his friends to build the base, even locking down backflips (bare in mind this was from the age of 10–13!). That all changed afterward, and while he still rides dirt jumps (and with a tonne of style) he puts more of his time and effort into being a fast downhill and trail rider, opting to race downhill the last couple of seasons and now finding Enduro to be more fulfilling A lot of the move to Enduro can be attributed to his upbringing and other interests, with Jessie happiest when outdoors, whether on a bike or not. 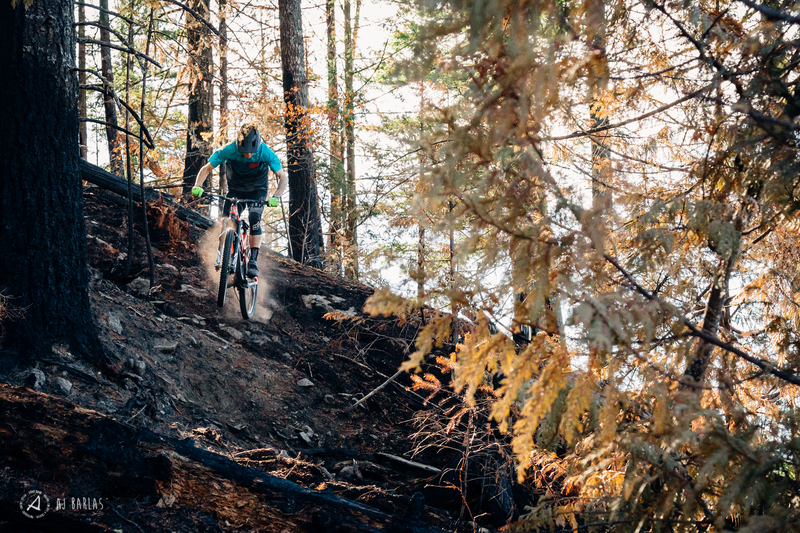 For Jessie, racing enduro provides him with more time outside, riding and racing with a group of good friends, but the challenges of racing are still there to appease his competitive side. 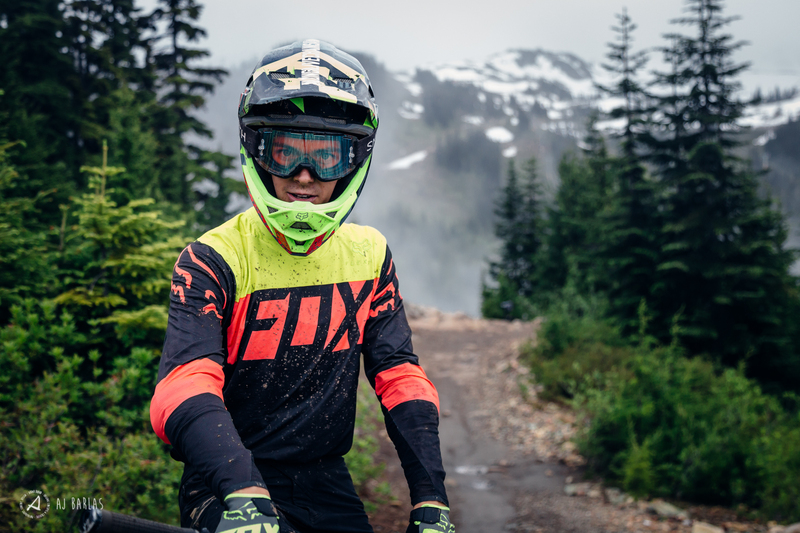 Despite moving his focus solely from slopestyle to DH and trail, Jessie still looks up to one of the biggest legends of mountain biking today, Brandon Semenuk, noting that even though Brandon is a slope rider and Jessie a racer, he has always been astonished at how smooth and calculated Brandon is when riding. Off the bike Jessie has found Brandon’s humble and kind attitude toward those around him something to foster, noting that these personality traits are important in any sport (Ed: Or way of life, really). In racing Jessie has found Loic Bruni to be someone that he looks up to, noting his solid, smooth, and pinned riding while also being humble and kind. These ideals are something quickly noticed when around Jessie. Often referred to as an “old soul” among us older folks, his maturity is truly beyond his years, but not without still having a good time. He often first comes across as a shy guy, but he does push out of his comfort zone and engage with those around him. He is humble, just like his role models and doesn’t get caught up in the negative traits of putting down those around him. But it’s not all serious and straight faced, and despite putting in work toward his goals while others are happy eating candy and talking smack, he is still a teenager, which means a lot of good times and gooning about still goes on, on the regular. His earliest memory of riding is longest skid contests, after all. With Jessie’s role models rubbing off on him, his good attitude combined with his skills and race results landed him a place on the 2016 Kovarik Racing program, as well as support from North Shore Billet and Race Face. 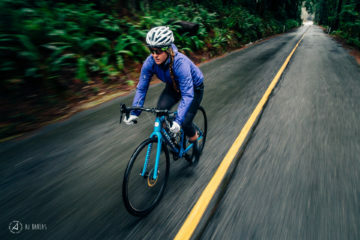 As with many riders looking to sharpen their skills riding with faster riders, and more experienced ones, is invaluable. 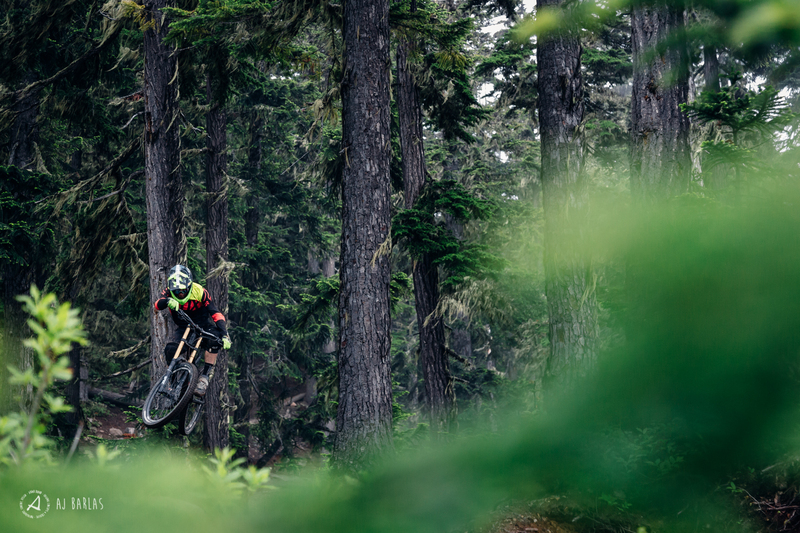 Spending most of his time focusing on and chasing the BC Cup overall, Jessie’s goal was realized when he was crowned overall winner of the competitive Junior-Expert series. Being young and continuing to learn a lot from his experiences, he realized during the 2016 season that he wants to spend more time on his bike and on a variety of trails come race weekend. With this in mind, Jessie will focus more of his energy on Enduro come 2017, with a goal of being able to race on the EWS as a junior and professional, in the future. 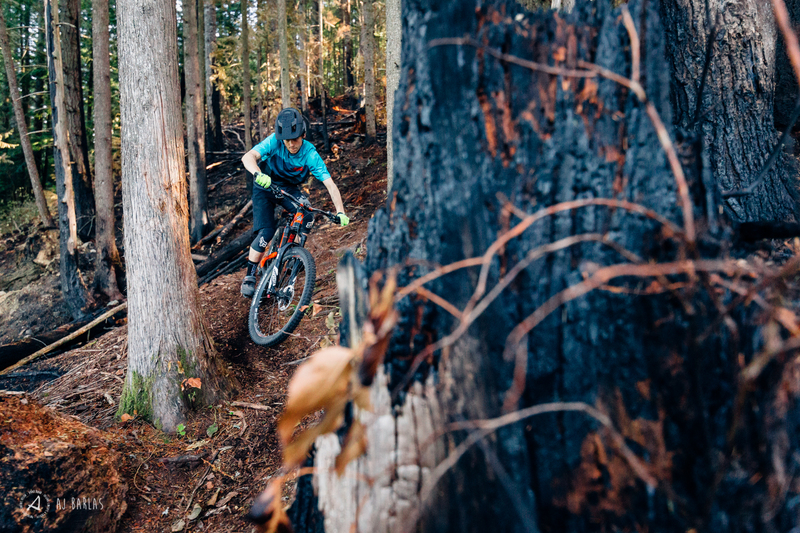 As a rider not stuck on a particular riding style—he is equally happy on steeps, gnar, flow, jumps, single track, pretty much anything that can be moved across on two wheels—and someone that wants to be out pedalling the bike all day, the move to race Enduro makes a lot of sense for Jessie. 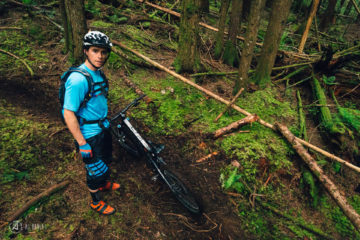 He attributes this well rounded style to growing up in Squamish and really appreciates being able to ride super steep, loose trails to smooth, machine built, tacky jump trails, and everything between in a single ride. Add in his humble attitude and mature outlook and it becomes clear that he is a rider that will represent the sport in a great light. And if it doesn’t pan out he’s not worried, as he plans on going to college or university after high school to work towards a degree that will help him in either a science or adventure photojournalism role. For someone that hopped on a bike with training wheels at the age of five, Jessie’s start on the bike probably doesn’t look a lot different to many that are years his senior, but where he is going and his abilities greatly differ already. He knows that results are important, but in todays world there is far more to being a successful athlete and while working with him on this feature I can confidently say that he will go the extra mile to achieve a goal. 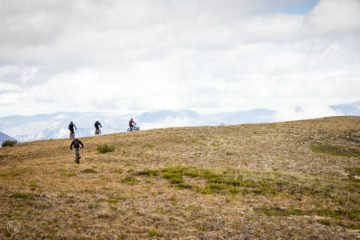 Jessie looks forward to the challenges that lay ahead in his racing, but it’s the feeling obtained when ripping down a trail—that nothing else matters but what is happening right there and then feeling we all know too well—that will keep him on a bike, regardless of where life takes him.